Warranty: Angelcare warrants to the original owner of this product that Angelcare Bath Support is free from any material and workmanship defects, for a period of one (1) year from the date of the original purchase. If this product fails to function properly when used as directed under normal conditions within the one-year period, Angelcare will either repair or replace the product, at our discretion, free of charge. Please contact your distributor. The product must be accompanied by a proof of purchase, either a bill of sale or other proof that the product is within the warranty period. Angelcare will bear the cost of repairing or replacing the product and shipping it back to you. This warranty does not apply to a product which has been damaged as a result of improper maintenance, an accident or any other form of misuse. The warranty is also void if the owner repairs or modifies the product in any way. Angelcare is not liable for any incidental or consequential damages with regard to this product. The warranty also excludes any liability other than what is stated above. No other warranty is given. LEGAL RIGHTS VARY FROM COUNTRY TO COUNTRY. SOME COUNTRIES DO NOT ALLOW THE EXCLUSION OR LIMITATION OF INCIDENTAL OR CONSEQUENTIAL DAMAGES, SO THE ABOVE LIMITATIONS MAY NOT APPLY TO YOU. WE ARE NOT IN ANY WAY RESPONSIBLE FOR ANY OUTCOME RESULTING FROM THE USE OF THIS PRODUCT. IMPORTANT! This Angelcare monitor is a personal care product. Please do not return this product to the store. If you have questions or need help, please call your distributor before returning this product. 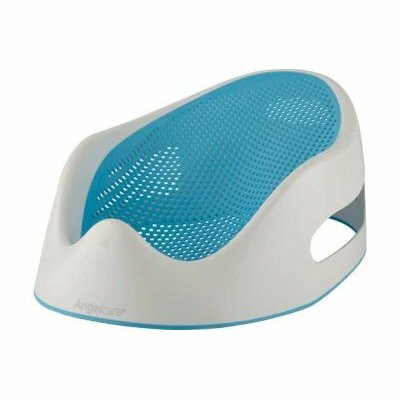 Ergonomic Design – Ergonomically designed for your baby's comfort and safety, the Bath Support assures that your child’s hygiene is maintained. Soft-touch material: At Angelcare , we made sure to use a soft mesh material that’s gentle on baby’s delicate skin.